Bellatrix, I'm a Pug! 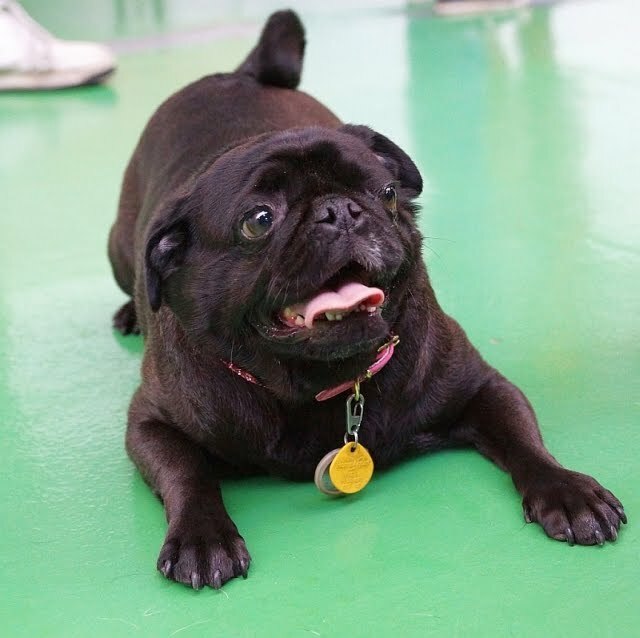 : Pug Saturday! As most of you know I am lucky enough to live close to my best bud Spencer B. We love to get together and play as much as possible. Well today, despite the rain and mud, our moms let us have a little play date. While there our moms decided we should start Pug Saturdays. See my mom has to work on Sunday, so she misses all these cool pug Sunday events...and what she misses I miss too. I don't think it's fair and I want to spend time with some pugs (and other pug-lites). So our moms cooked up Pug Saturdays. Our first unofficial one is coming up this Saturday at Spencer's and I special park. 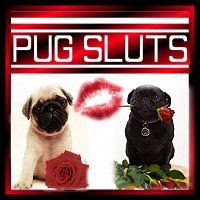 We are willing to share it with any pug (and pug-lite) that wants to join us. It's going to start at 1pm and it's in Clayton dog park. If you live in the east bay (that's near San Francisco), I invite you to join us. It's going to be loads of fun. If you have any friends that don't read this blog, but you do, first off tell them to read it...but then ask them to join us! It's going to be loads of fun. Pug frivolity will ensue. I hope you can join us. Oh and if you don't live in the area....I will totally play with a pug for you. Oh, we wishes we lives close to you!!! It would be so fun to play! One day we got to get everyone together!!! Somehow! Someway! All the puggies, and other furpeeps(I guess...hee hee) Say, is that Dutch with Henrietta. Does Dutch ever make you count his spots? All the spot dot doggies we have encountered make us count their spotties. (hee hee.) Hopes you gets lots and lots of takers for your little plays date! We will all be thinking 'bouts you!!! Hiya gang!! That is Brother Dutch and I running around like crazy in San Francisco. He had his henrietta and I attempted to keep up with him to catch it. Not so smart on my part I'll admit. He was fun to play with, but there were so many pugs and I have ADD (I'm only 8mo old) so I didn't play with him a lot. I wish you lived closer to me, because I live close to the MythBusters guys, and we could bamboozle them with pugs!! Hi Bellatrix! I so wish I lived in East Bay so that I could go to Pug Saturdays. We don't really have anything like that where we live but I guess I could organize one. I'm kind of low key so maybe that's not such a great idea. Hey friends! I wish Anakin, Josie, Izzy, & Stubby lived close by too. We'd have so much fun....Looking forward to seeing you Bellatrix! !